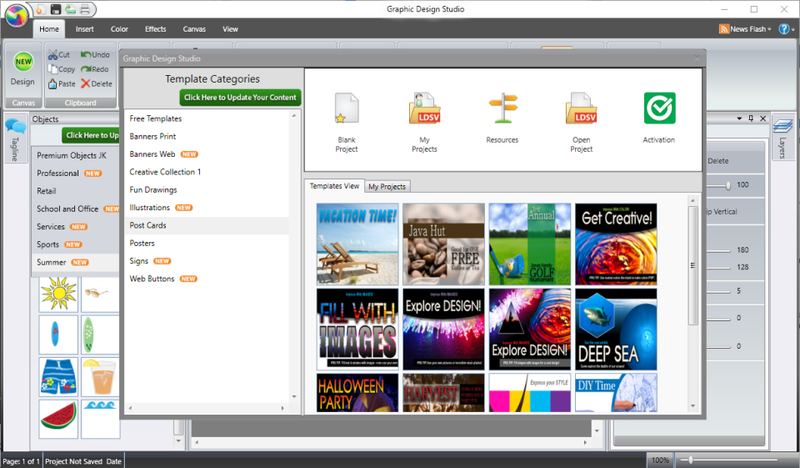 Graphic design software that enables users to create flyers, backdrops, t-shirts, billboards, tickets, and banners. Graphic Design Studio Reviews Recently Reviewed! This is an amazing space to create your own graphic design art!!! Pros: If you are creative than this software is going to become a best friend to you! You create banners, flyers , cards to coupons, the tools and canvas. I love it because my job entails me to create things that range in a multitude of sizes and print jobs. This software makes that easy and possible with no extra hassle at all. Even better guys, you can draw your own design as well. With making banners any font can be given a creative edge, and who knew you could add cool shadows. Lastly if you like 3D effects this is your spot too !!! This software also makes it easy to fill in for textures as well as certain colors, in order to ensure the best result. I also really enjoy the wide range of colors. Cons: Only con would be the cost since I had to download this but certain things are worth the money. Pros: I still use this program at work for creating various sized print works. It's really easy to use and has a lot of features. Pros: This software is beginner friendly, and after trying more widely recognized programs I still come back to this one and highly recommend it! Cons: I wish the command buttons were a bit more intuitive. Sometimes I find myself in the menus trying to rebind my keys and I still haven't found the perfect storm. Pros: There's nothing wrong with software but there's also nothing great. It's affordable, it's somewhat reliable but there's limitations. Of course like most of the graphic world i use photoshop. Nothing compares to it. I like the price, i like being able to do little edits but for bigger projects I wouldnt use it.